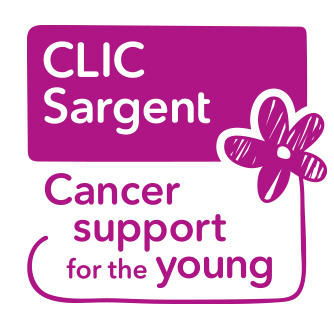 As with everything we published on our website, if you can’t find the answers you are looking for or are unsure and would like more information, please get in touch with us. Often when clients contact us they are unsure of exactly what type of disclosure it is they require and how they go about getting it. Over the next few weeks, we hope to demystify the disclosure process by explaining in layman’s terms, the different types of disclosure certificates as they apply to employers in Scotland and demystify the disclosure process. What are the different types of disclosure? What does each certificate contain? We begin the series with a guide to the PVG Certification process. In February 2011 the Scottish Government introduced new legislation which created the PVG Scheme to replace and improve upon the previous arrangements for people who worked with vulnerable groups i.e. : Children and protected adults. In Scotland it meant that when the legislation came into effect on 29 October 2012 anyone undertaking ‘regulated work’ with vulnerable groups would no longer apply for an enhanced disclosure, instead as they where required to join the PVG Scheme. Firstly, the main shortcoming of the enhanced disclosure procedure was that the information was only accurate on the day it was issued. If, after careful assessment, a person is considered a risk and therefore unsuitable to work with children and / or protected adults, Disclosure Scotland will list them on one or both of the Barred Lists. This means that the person will not be able to become a PVG Scheme member. It is also an offence for a Barred Person – and for an organisation to permit that person – to undertake regulated work. The PVG Scheme helps to ensure that anyone who has regular contact with children and protected adults through paid and unpaid work does not have a known history of harmful behaviour. members to complete a detailed application form every time a disclosure check is required. Instead they merely update the existing information. It strikes a balance between proportionate protection and robust regulation and makes it easier for employers to determine who they should check to protect their client group. The scheme applies to anyone undertaking Regulated Work with Children or Protected Adults. The PVG Act specifies particular positions as being within the scope of Regulated Work. This is because the holder has a particular position of responsibility, performs certain activities as part of their normal duties (or supervises the performance of such activities) or because the work is being undertaken within certain establishments where it can be assumed that people who are protected under the PVG Act will be present. · Inspecting adult care services. 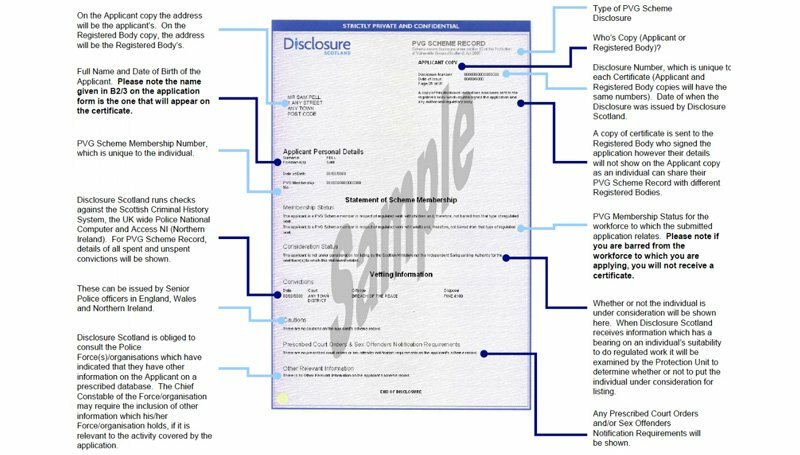 When is a PVG Certificate required? If you are not already a member of the scheme and apply for a job, which involves undertaking any of the types of work above, you will be required to join the PVG Scheme and provide proof of membership to your employer. If you are already a member and change posts, take on additional roles, change of employer or change your name, then you will require to update your scheme record with the details. If you previously held an enhanced disclosure before 29 October 2012 you will require to join the scheme as a new member and in any case before 29 October 2015. This process is known as Retrospective Checking. Information regarding the applicant gathered from a variety of source and is known collectively as vetting information. Where relevant, this information will be used to decide whether a person is unsuitable for regulated work. This information will be held on an individual's scheme record and will be disclosed whenever a scheme record disclosure is requested. The core of the vetting information is conviction information retrieved from criminal justice systems and non-conviction information held by the police that they consider being relevant to regulated work. Certificates are issued to the individual applicant and a copy is made available to the employer or potential employer. In respect of secure handling and storage it is currently an offence for disclosures to be shared with a third party. Employers are not permitted to retain any paper or electronic image of the disclosure information for longer than is necessary and in any case beyond 90 days. They must ensure that disclosure information is destroyed in a secure manner i.e. by shredding, pulping or burning. They also have to ensure that disclosure information, which is awaiting destruction, will not be kept in any insecure receptacle. They may however, record the date of issue, the individual’s name, the disclosure type and the purpose for which it was requested, the unique reference number of the disclosure and details of the decision.